There is beginning to be a greater understanding of the connection between the body and the mind. To have the healthiest body, the mind must be healthy. Similarly, to have the healthiest mind, the body must be healthy. An article by Gretchen Reynolds of the New York Times highlighted that having increased physical activity is actually beneficial to our brains. Too Tired For Physical Exercise? Your brain is craving this maybe more so when you are tired. The endorphins that are released during and after exercise help to give increased levels of motivation, energy, and enthusiasm. How Do We Know Physical Exercise Helps the Mind? There was a study completed with rats to further investigate how certain genes work inside of the brain. The experiments showed that the animals that had more exercise created many more cells in their brain, specifically in the hippocampus. This is important because this part of the brain is the area that enables greater memory, learning, and survival of newborn neurons. What Does Exercise Do For The Brain? Scientists believe that exercise helps to create a substance called brain-derived neurotrophic factor (BDNF). BNDF acts like “miracle-gro” for the brain allowing neurons to be vigorous, while strengthening the synapses that connect neurons. 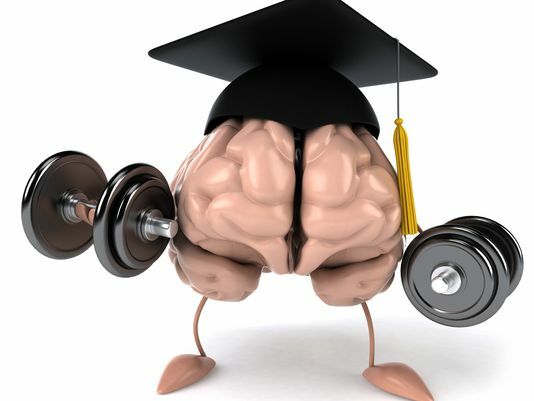 Exercise helps the brain to increase levels of BDNF in its tissue. What is it about Exercise that Produces BDNF? Scientists could look at a couple cohorts of animals over a month with one set exercising and the other not so much. As was already expected, the group that exercised produced more BDNF. This was the case because the gene that scientists have identified as being associated with BDNF was more active. The scientists also looked at the impact of running on our brains, and found that runners had elevated levels of ketones. Ketones are a byproduct with the breakdown of fat. Ketones are important because it causes the molecules that hinder the BDNF gene to ease up, which in turn made it so their BDNF genes could continue making BDNF. 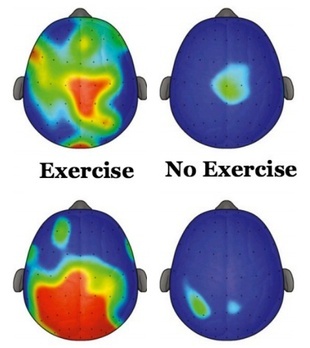 It all seems quite simple in the end: exercise more and there is profound positive impact on your brain. Want to have another way to exercise your brain? Try the proven methods of Cognitive Behavioral Therapy (CBT) through iPrevail’s proven powerful behavior change platform.